Do you own a house, unit or apartment that you want to rent? We offer accurate rental appraisals based on our local knowledge of Double Bay and surrounding suburbs. Once we receive your property address and details we will estimate the rent price based on location to amenities and services. We will also value the appraisal based on the history of rent returns in the suburb. To gain maximum rental returns we utilise real estate portals such as www.realestate.com.au. 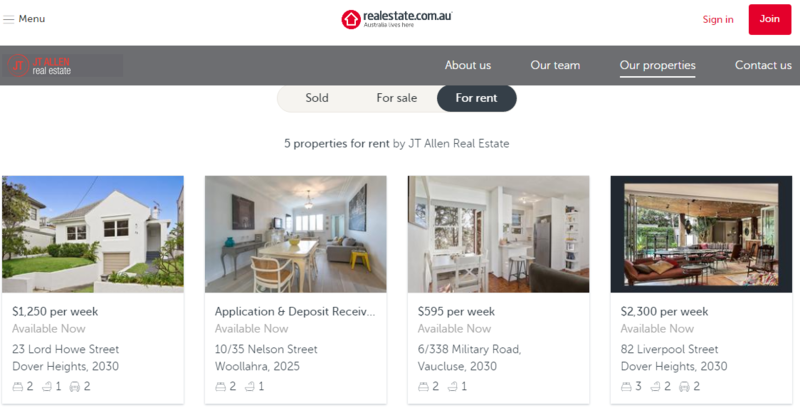 View our rental profile on the REA website. Together with this we will access our database of potential renters to find the best outcome for your rental property. The highest priced rent is not always the best outcome. Having 1 tenant for 5 years is a better result than having 5 tenants over 5 years. We will find the best fit for your property. Recently leased properties in Double Bay and surrounding suburbs. Properties for in Double Bay and surrounding suburbs.